Heavy Duty Tacker Staple Gun + 2500 Free Staples. 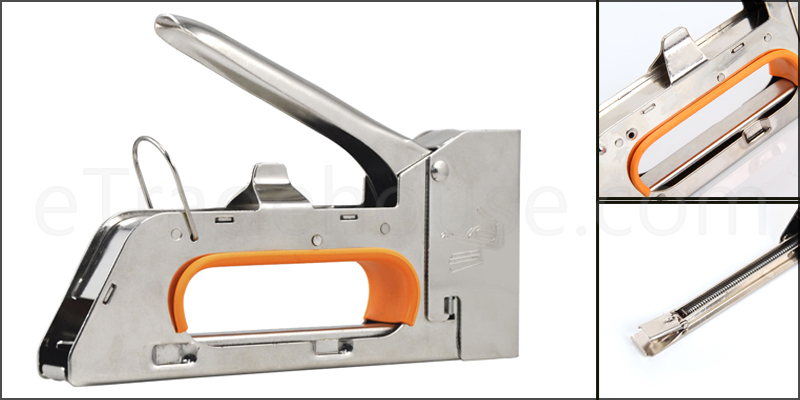 Heavy duty staple gun can take 4mm,6mm and 8mm staples and is suitable for a huge variety of purposes (comes with 2500 8MM staples). The staple gun is easy to refill and has a high powered spring action and a hanging bracket for safe and convenient storage. Ergonomic grip and easy squeeze operation allows for usage with minimum fatigue comes complete with 2500 FREE staples. Repairing window blinds and chairs. Applying fabric to walls / wood.